Student needs are as unique and varied as they are. We offer students with specific needs resources and tools to help them earn an appropriate education—because every child can learn. Special Education. Not all children learn at the same rate. We employ specialized staff members to assist our students with special and unique needs. Section 504 Plan. We believe all children are special and have something wonderful to contribute, regardless of physical or cognitive limitations. We provide a free appropriate public education (FAPE) to our students identified as having disabilities and look for opportunities to include these individuals in all of our programs. Response to Instruction (RTI). 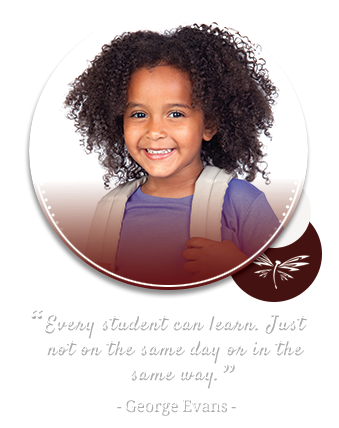 Based on student assessment, we align interventions and educational support matched to the individual’s needs. English Language Learner Program (ELL). We provide additional tools and support for students who do not speak English as their first language. Our ELL program helps these students learn content while acquiring the English language.